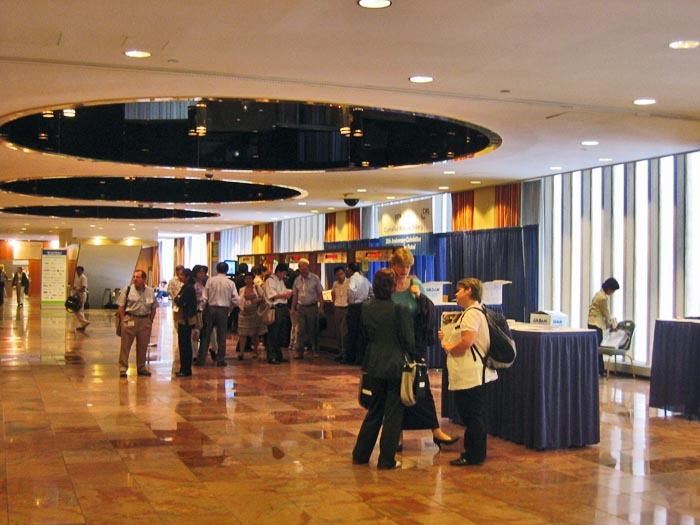 An interesting conference dealing with controlled medicament delivery was held in New York, USA, between 12th and 16th July, 2008. 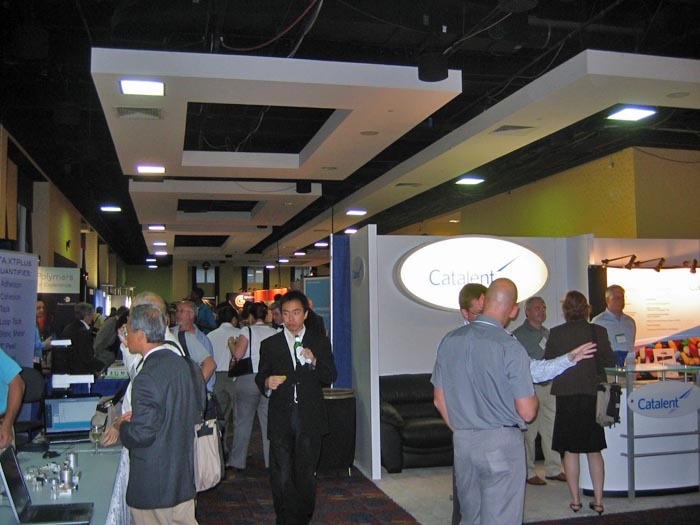 It was organized by the Controlled Release Society (CRS) as its 35th Annual Meeting & Exhibition. The Controlled Release Society is an international, multidisciplinary organization whose members come from 50 countries all over the world. The organization's main goal is life quality enhancement through the promotion of the science, technology, and education in the field of the controlled delivery of bioactive substances. 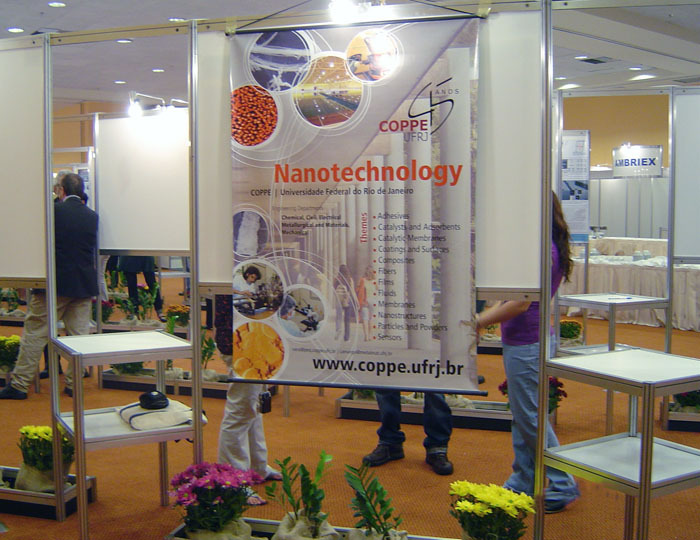 The participants of the Conference included more than 2000 researchers and 118 exhibitors from all over the world. Canada, France, India, Ireland, Israel, the Netherlands, South Korea, Turkey and Switzerland had between 20 and 50 representatives at the Conference, whereas Germany, Japan, Great Britain and the United States of America were represented by more than 50 participants each. 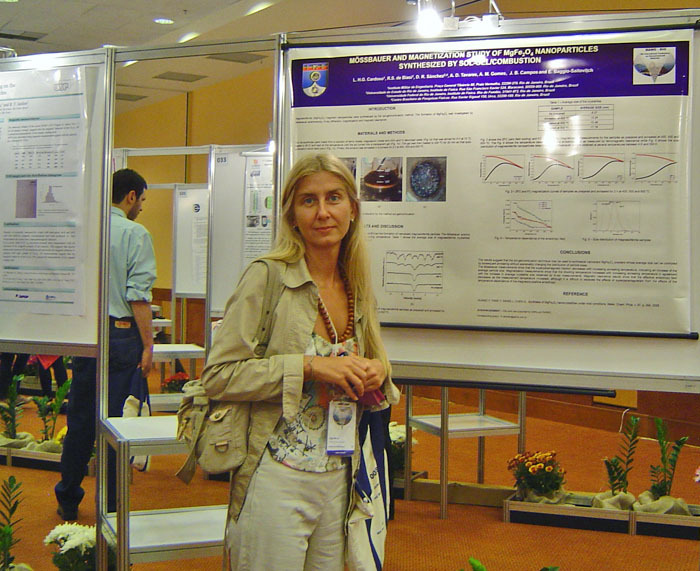 Dr. Magdalena Stevanović, Scientific Associate of the Institute of Technical Sciences of the Serbian Academy of Sciences and Arts, was the only Conference participant from Serbia. 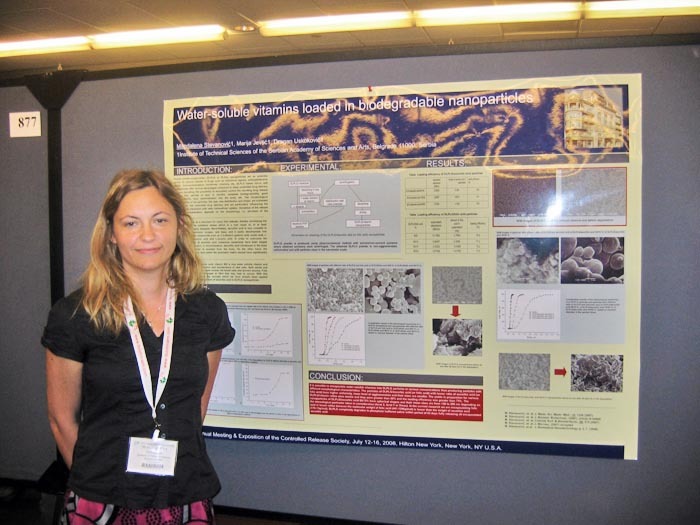 She presented poster "Water-soluble vitamins loaded in biodegradable nanoparticles", authored by Magdalena Stevanović, Marija Jevtić i Dragan Uskoković of the Institute of Technical Sciences of SASA, dealing with the encapsulation of water-soluble vitamins (ascorbic and folic acid) into a polymer matrix made of poly(lactide-co-glycolide), the degradation of the obtained nanoparticles and the release of vitamins from the particles. Special interest in the presented results was shown by Dr. Bart Plum (DSM Research, Performance Materials, Chemistry & Technology, The Netherlands), Professor Dr. Roderick Walker (Faculty of Pharmacy, Grahamstown, South Africa), Nuria Carreras (Head of Formulation Research & Development, Alcon, Barcelona, Spain), Dr. Chris Kirby (Pharmamaterials, The Science and Technology Centre, UK), Dr. L. Bruce Yan (FMC Agricultural Products, Global Formulations and Innovation Development, Princeton, USA). 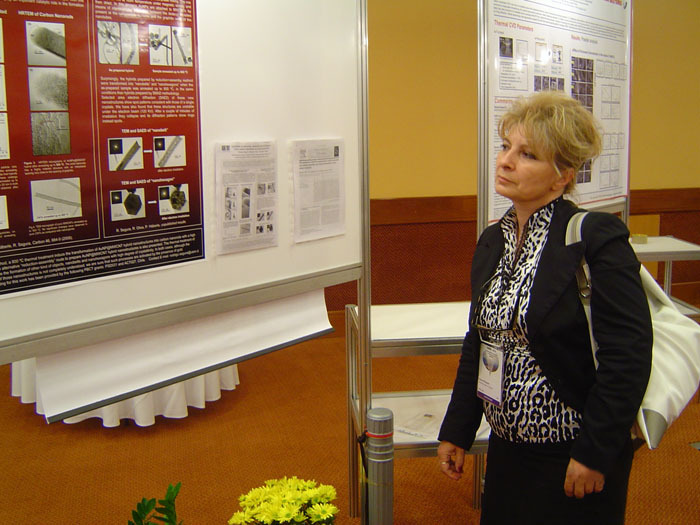 Dr. Stevanović's participation in the Conference was supported by the Ministry of Science and Technological Development of the Republic of Serbia and the Project No. 142006. The Conference included six plenary lectures (Dora Akunyili, National Agency for Food and Drug Administration and Control, Nigeria. Combating Counterfeit Medicines in Nigeria; Raymond T. Bartus, Ceregene Inc., U.S.A. The Development of AAV-Neurturin (CERE-120) as a Novel NeurorestorativeTherapy for Advanced Parkinson’s Disease: From Concept to Clinical Trials and Beyond; Mark E. Davis, California Institute of Technology, U.S.A. Nanoparticle Cancer Therapeutics: From Concept to Clinic; Rakesh Jain, Massachusetts General Hospital & Harvard University, U.S.A. Normalization of Tumor Vasculature and Microenvironment by Antiangiogenic Therapies: From the Bench to the Bedside and Back; Thomas Tuschl, Rockefeller University, U.S.A. Mechanisms of Mammalian Small-RNA-Mediated Gene Regulation; Jackie Ying, Agency for Science, Technology and Research, Singapore Nanostructure Processing of Advanced Biomaterials and Biosystems) and 74 invited lectures. 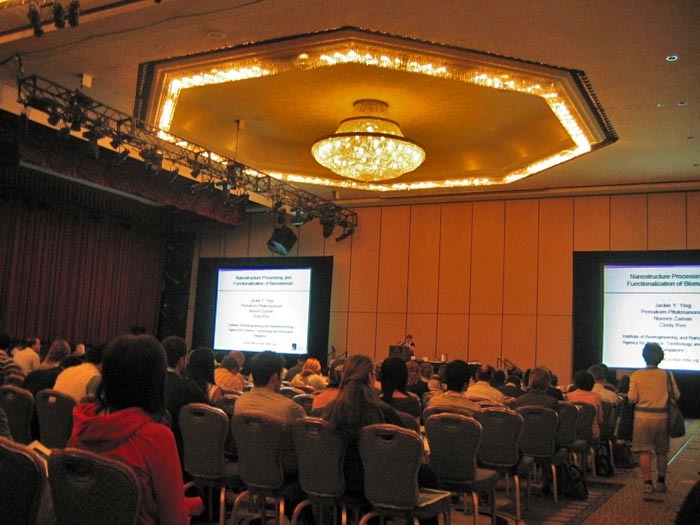 Conference programme included 30 sessions and six mini symposia held simultaneously in eight halls, as well as three Educational Workshops: Delivery of Biologics with Novel Polymeric Constructs, Oral Drug Delivery: Challenging Patient Groups, Strategies to Advance the Bioavailability of Low Solubility Drugs. Lectures held by the representatives of the Food and Drug Administration (FDA) within the Young Scientist Workshop, dealing with regulatory aspects of pharmaceutical sciences, as well as lectures given within the Releasing Technology Workshops, aroused particular attention among the audience. Attention should also be drawn to oral presentations by Shyh-Dar Li (University of North Carolina), dealing with siRNA therapy for cancer metastasis, and Valentine Wascotte (Université Catholique de Louvain), focusing on the development of a non-invasive technique (skin test) for the detection of kidney diseases. 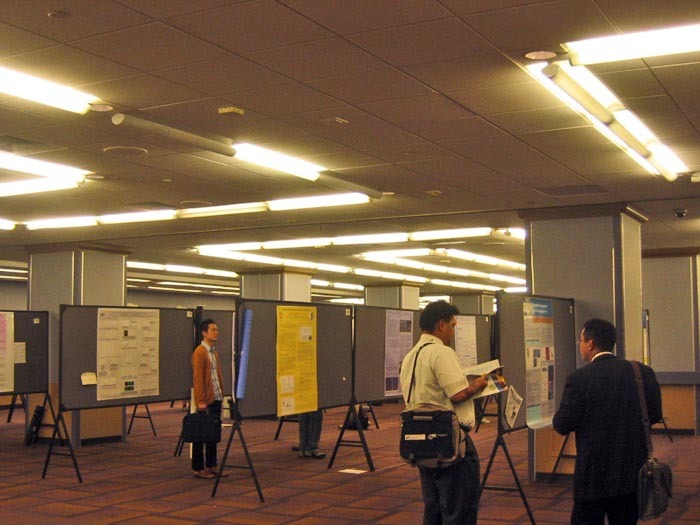 Three poster sessions were held within three days. 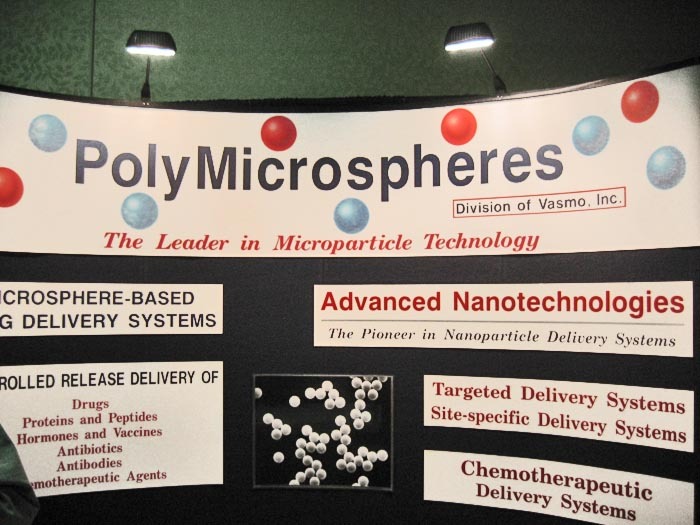 They included the following thematic groups: Device-based Delivery Systems, Evaluation of Encapsulated Products, Nanomaterials Synthesis and Processing, Novel Materials for Controlled Release, Nucleotide-based Therapeutics, Ocular, Peptide and Protein Delivery, Responsive Delivery Systems, Transdermal, Characterization at the Nanoscale, Controlled Release in Cosmeceuticals and Nutraceuticals, Liver-Directed Therapy, Novel Polymers, Oral Delivery, Particulate Delivery Systems, Stem Cell Therapies and Tissue Enginerrring, Tumor Targeting, Vaccines, Cellular Delivery, Implantables and Injectables, Industrialization of Nanotechnology: Processes and Products, Lipid-based Systems, Molecular Conjugates, Nanoparticles, Novel Biomaterials, Oral Drug Delivery, PEG-based systems, Pulmonary, Release Triggers for Use in Controlled Release. The Conference offered an excellent opportunity to exchange ideas, make contacts, discuss research results and possibilities for cooperation among researchers and institutions from various countries. 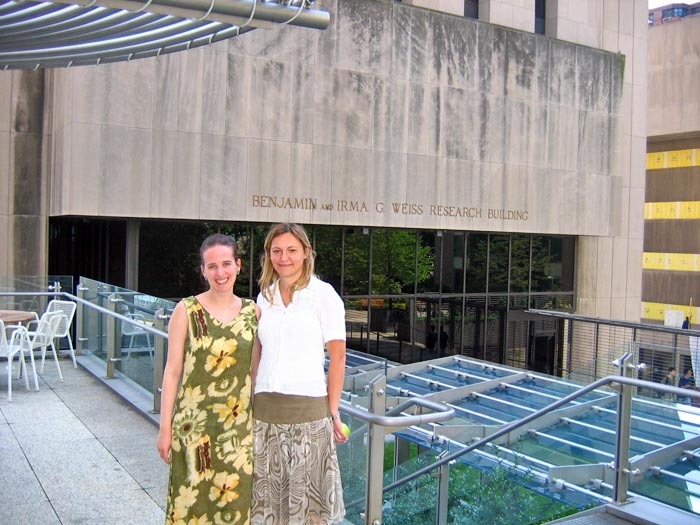 During her stay in the United States, Dr. Magdalena Stevanović also visited The Rockefeller University, Laboratory of Mass Spectrometry and Gaseous Ion Chemistry, where she had the opportunity to meet Dr. Tijana Talisman and get acquained with the ongoing research and Laboratory's equipment. 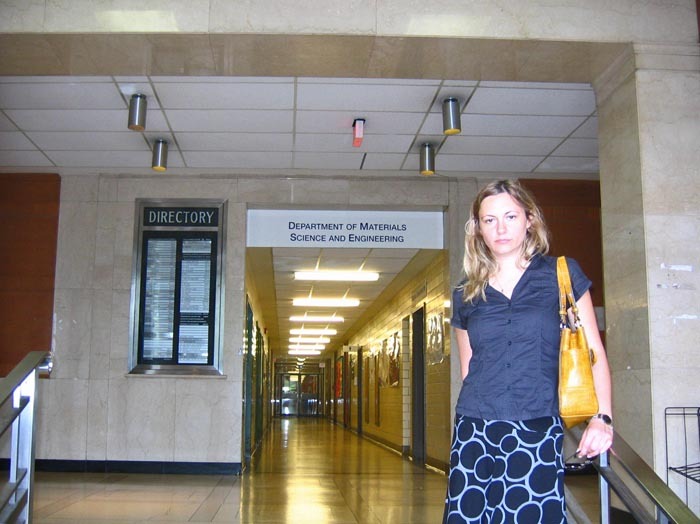 Between July 17 and August 2, Dr. Stevanović was in Canada. She visited the University of Toronto (Faulty of Medicine and Department of Materials Science and Engineering), e-Health, Ministry of Health and Long-Term Care, and Health Canada in Ottawa.